Enhance the look of your kitchen with an authentic Russian metal Zhostovo tray like this one. 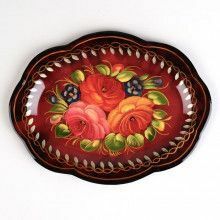 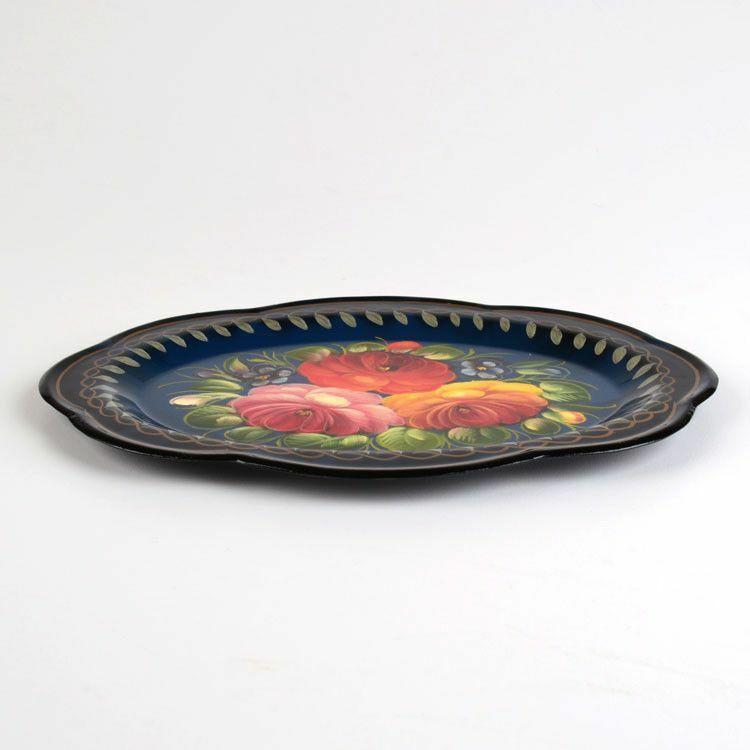 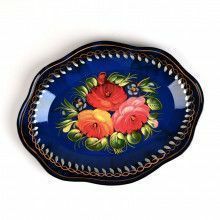 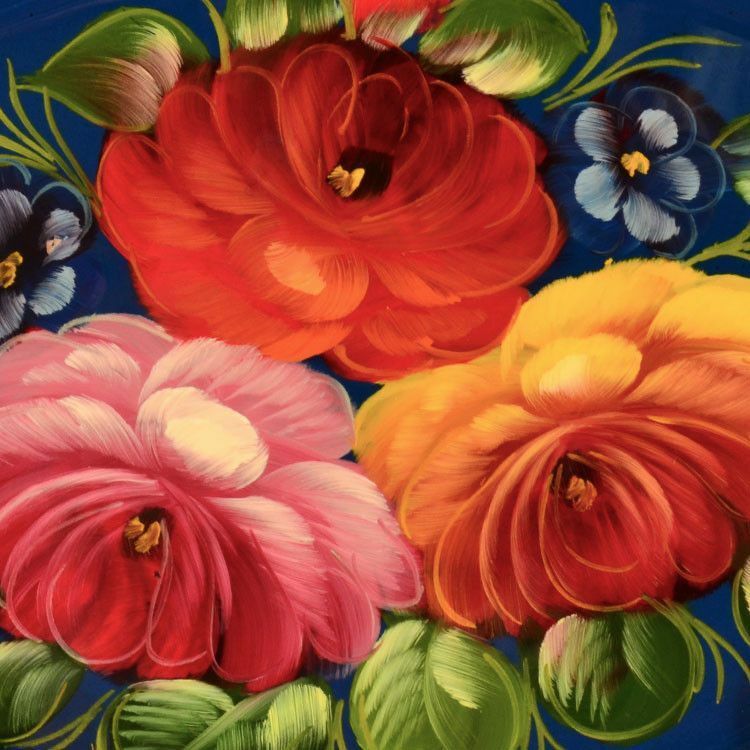 This small platter is about 7 3/4" x 5 3/4" in size and it features an orange, red, and pink flower against a dark blue background, decorated with a gold and silver border. 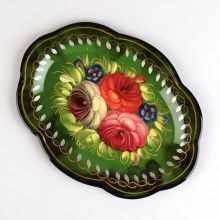 This pretty plate also has a scalloped edge and lacquer finish. 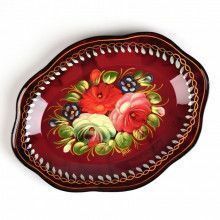 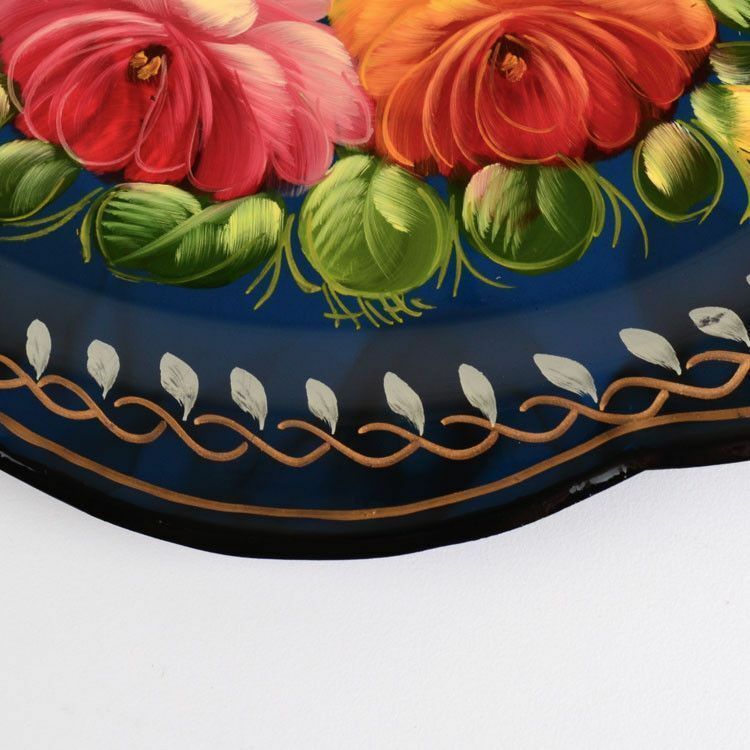 A signature by the artist on the front completes this beautiful Zhostovo plate. 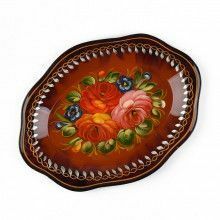 Tray measures 7 3/4" x 5 3/4"